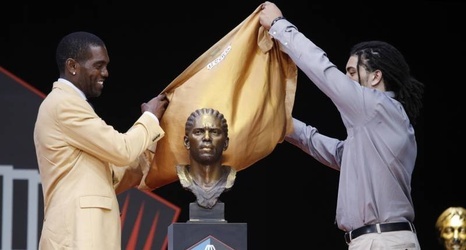 Randy Moss, who drew headlines during his Hall of Fame speech for wearing a tie with the names of multiple black people who died as a result of police violence, said he has been receiving racist hate mail over the last week. "The black community praised me and thanked me for shedding light on African-Americans dying," Moss told Jason Reid of The Undefeated. "Then on the flip side, you’ve got sites where people are slamming me, saying ‘Hey, n—–, stay in your place.’ They’re saying, ‘You’re a dumb black jock. You just need to stick to playing football, n—–.